Big News for Writing Refinery! Last week on DIY MFA Radio, my friend Gabriela Pereira and I announced a new joint venture. We’re going to put out an anthology! 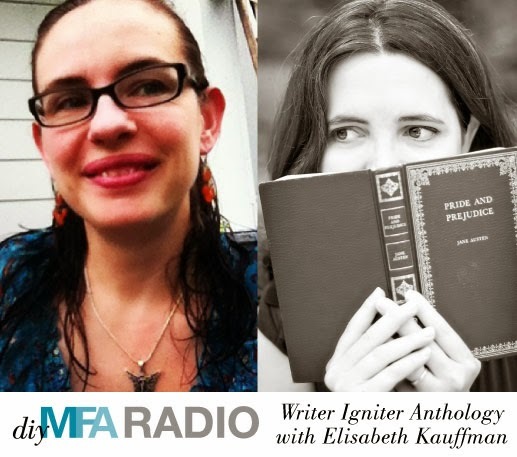 It’s called the Writer Igniter Anthology, and it needs YOUR VOICE to make it amazing. You can listen to the podcast episode where we announce it here. The special thing about this anthology is that each submission has to use a writing prompt generated by the Writer Igniter App. That means you have to stretch that creative muscle extra hard. I can’t wait to hear what new stories come out of this project. So come check it out! Submissions are OPEN. We’re looking for new voices and creative ideas. Come! Write! Take a chance with us and get your name in print. We wanna read your best creative stories. So write, write, write! And then submit, submit, submit!